Goals from Tristian Plummer and Glenn Wilson secured 3 points for Aldershot as they comfortably beat Torquay United wrapping up what has been a very good Easter for Chris Barker and his men. Welling losing to Forest Green means this win now (practically) cements Aldershot’s place in the Vanarama Conference for next year’s campaign. Aldershot manager Chris Barker spoke after the game and he said, “When I first took over the job three months ago, keeping this club in the league was my first aim even if it meant not playing nice football. “Now that’s all done, hopefully we can kick off for the rest of the season. Tristian Plummer got Aldershot on their way by scoring a bizarre cross/shot goal that floated its way into the far post, beating the Young Torquay Goalkeeper Daniel Lavercombe, who made his full-debut in-between the sticks for Torquay. Damon Lathrope nearly doubled Aldershot’s early lead as he struck the bar from 18 yards out with Ryan Jarvis failing to get enough on the rebound by heading over the bar. Just before the half-time interval Torquay should have drawn level. Once again, Phil Smith fumbled a shot from Louis Briscoe into the path of Kystian Pearce, who shot over the bar from 5 yards out and saved Phil Smith’s blushes. Aldershot looked comfortable throughout and were a real threat going forward, which is something that cannot be said about Torquay, who only had two on target shots in the entire match. After a neat bit of play, Jim Stevenson drilled a shot into Lavercombe, who had to make a fine diving save to his right, keeping Torquay in the game. Captain Glenn Wilson then doubled the Shots lead after the ball fell to the defender from a set-piece. He done well to keep the ball in control and slotted the ball underneath Lavercombe. Wrapping up what was a successful evening for Aldershot. The referee then blew his whistle meaning Aldershot had won and secured another valuable 3 points. Former Torquay player; Damon Lathrope spoke to Radio Woking after the match and said he was delighted to collect 6 points over the weekend, “It’s a good feeling to pick up 6 points (from) the last two games we have fully deserved them, he said. 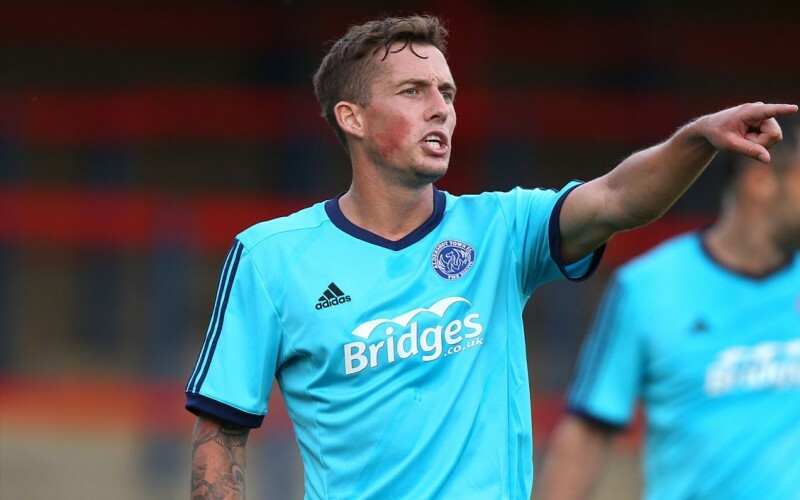 Aldershot are back in action this Saturday against Braintree. For more Aldershot coverage be sure to tune into Radio Woking from 2pm every Saturday. Aldershot Town (4-4-2): Smith; Hatton, Wilson, Barker, McGinty; Plummer (Richards 64), Stevenson, Lathrope, Roberts (Rasulo 77); Williams, Jarvis (McCollin 66). Substitutes (not used): Scott, Thomas. Goal: Plummer 5, Wilson 74. Torquay United (4-5-1): Lavercombe; Dawson, Pearce, Downes, Ives; Ajala (Yeoman 73), McQuilkin, Richards, Harding, Cameron (Daniel 58); Briscoe (Prynn 66). Substitutes (not used): Gueguen, Rice.